The bacabs are the canopic gods, thought to be brothers, who, with upraised arms, supported the multilayered sky from their assigned positions at the four cardinal points of the compass. Quatzequatel: Winged God ; Mayan god Thoth and Quetzacotal were the same person, Thoth was identified to Atlantis, Egypt, Sumer, then later was identified to Meso America and Peru as Quetzacoatal. Ahau Chamahez - In Maya mythology, Ahau Chamahez was one of two gods of medicine. Ahmakiq - In Maya mythology, Ahmakiq is a god of agriculture. He locks up the wind when it threatens to destroy the crops. Ancient Mayan God Akhushtal - In Maya mythology, Akhushtal is the goddess of childbirth. Cama-zotz - Naturalists and Godologists believe him to be a leaf-nosed vampire bat. Ancient Mayan God Chacmool - Mysterious laid-back God of Handouts. Ixchel - Aged jaguar goddess of midwifery and medicine, also known as Ix Chel; she is associated with the Moon (L) water, fertility and childbirth. The patron of healers and J-Men and Ix'Men as well as those that work in the sacred healing arts. Ixtab - Goddess of Honorable Suicide (L). depicted as the "rope woman" for hanging was to the Maya an honorable way to die; she will take the brave soul to paradise, Ixtab is depicted in the Desdren Codex as a symbol of Lunar and Sun Eclipses. K'awiil (God K) - a God of Lighting; he is characterized by a snake foot often seem on kings' scepters. The is also the Jaguar God of the underworld. Moon Goddess in Ancient Maya- depicted as a woman sitting in the edged of a crescent moon holding a rabbit. 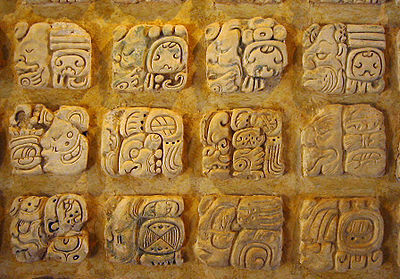 In Maya mythology, the moon phases symbolize women's life cycles. She is associated with water, rainfall, rainy season and deep fresh cenote water (underworld version of the goddess). Xbalanque - One of the mythological Mayan Hero Twins (PV) a ballplayer deity whose name means Jaguar Son or Hidden Sun.